An elegant, beautiful Dining Set that is perfect for any home looking for a natural feel. The set includes a practical, Drop-Leaf table with Rubberwood frame and white legs. The sides can fold away to make more space when needed or extend (each side separately) to create more surface area when required. Complete with two Rubberwood white chairs with comfortable Black PU seat pads. 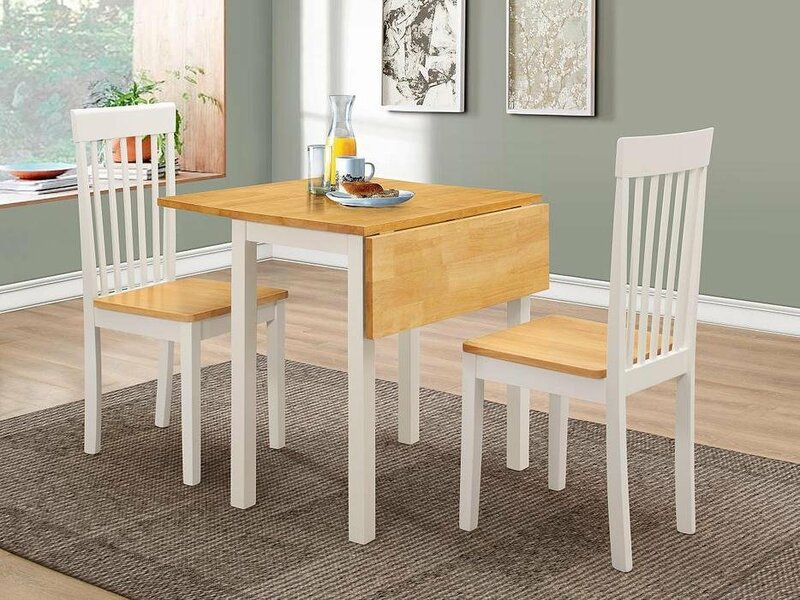 A simple elegant Dining Set that would feel at home within any house.